(Newser) – Studies on a wide range of species have found that calorie restriction almost always extends lifespan—and this is true in yeast, worms, flies, mice, and more. But whether this applies to primates has been the subject of considerable debate since studies by two highly reputable organizations have reported such different results, reports New Scientist. 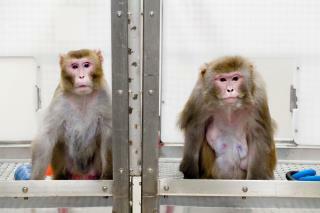 Now, however, those two organizations—the University of Wisconsin and the National Institute on Aging—have come together to dissect the differences, and they conclude in the journal Nature Communications that calorie restriction does in fact improve both the health and longevity of rhesus monkeys. We have known this for 60 years. When you eat, the body grows. When you starve, it repairs. Try restricting calories to 500 twice a week. Good for you! improve longevity for what purpose? Just to cling to life a little longer? when you created your children you knew they would have finite longevity.